Check out our quick comparison table below to use our free promo offer code and read the rest of our Hello Fresh Review for more details on Canada’s most popular meal kit company. 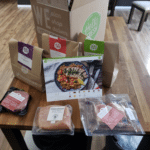 As meal kit delivery services have gotten more popular across Canada in 2019, several competitors have popped up in Canada’s urban centres – but for many bedroom communities and rural areas, Hello Fresh is the only option available. That simple ability to deliver to our house is the main reason that my wife and I decided to try Hello Fresh. BUT – it has been the tasty options and life-changing convenience that has had us raving about the service and recommending it to our friends and family! -Extremely tasty supper times with zero stress! 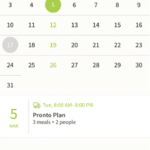 -A super easy-to-use app that lets us plan/choose 12 meals in 5 minutes or less! 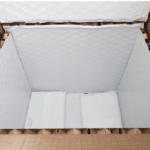 -Excellent engineering allows reusable/recyclable cold packs to keep your food cool on Canada’s warmest days! -No meal kit is as inexpensive as buying your own groceries. 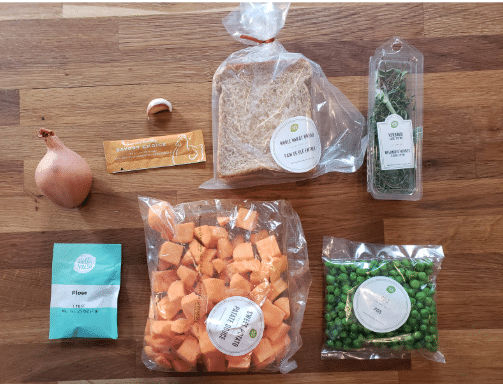 Hello Fresh is no different with meals starting at roughly $10 per serving. 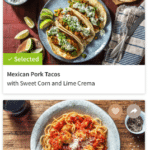 Hello Fresh is the most popular meal kit service provider in Canada – and for good reason! With large & tasty portions, great packaging, and excellent selection of fresh meals, Hello Fresh ticks all of our boxes. Instantly choose your weekly meals through the app, pay as little as $10 per serving, and you’ll be on your way to stress-free, delicious dinners. 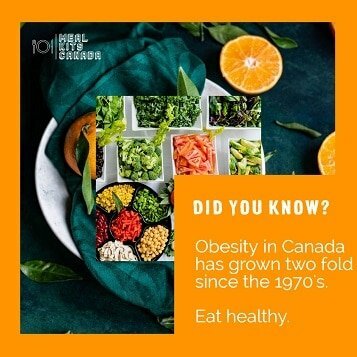 No matter where in Canada you live, Hello Fresh has you covered. Use the code HFAFF25X2! or click the button below to get $50 in your first two weeks, enabling you to try the service for a fraction of the costs. Try Hello Fresh for Free + $50 off! Hello Fresh Worked Better than a Marriage Counsellor! I contributed to the general household chores chart by doing the laundry, outdoor maintenance and lawn care, as well as usually taking the lead on supper clean up. But let’s be honest… That’s not really equal. And… let’s just say it didn’t go unnoticed. My problem wasn’t that I shied away from the time “slaving over the hot stove”. It was all the other stuff. The mental load of planning meals, making sure we had groceries (no easy feat in our humble rural abode), thawing meat, etc. That’s where the whole cooking process lost me. Now, every Tuesday a magic box appears on our porch packed with three delicious individual bags of yummy goodness. It takes me three minutes to haul the box in, unpack everything, and I don’t think about supper again until 30-45 minutes before it needs to be on the table! I’m slowly but surely improving my culinary abilities as I learn different flavour combinations, and why extra steps – like searing before baking – can really add new dimensions to the taste palate. Who knew that adding garlic to meals was the key to life?! Trust me – I’m not. Show this to your partner that does the 80%+ of the cooking in your house, and they will likely explain to you just how much it means to my wife that I help take a little bit of that mental burden off of her shoulders. Go ahead and ask… I’ll wait! Like most meal kit providers, Hello Fresh has several plans available, depending on your needs. Each week you will get to choose from 7-8 recipe options. 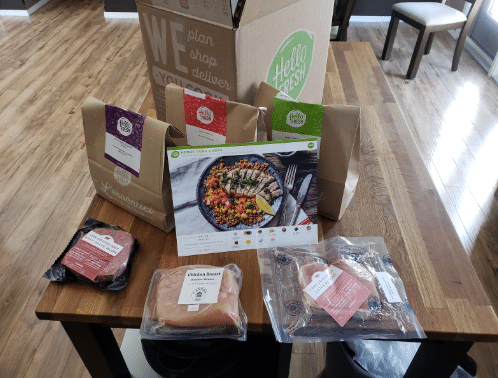 It bears repeating that choosing your options is incredibly simple, as the Hello Fresh app is as smooth as one would expect from the biggest meal kit provider in the world. It involves roughly four taps of the phone, and you can plan next week’s meals in under two minutes! My wife and I will often plan three weeks at once while we remember to do it. If you ever want to skip a week or two because you’re away from home, or just want to save a few bucks, it’s very easy to do so via the app. 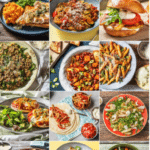 After nine months with Hello Fresh, we’ve seen roughly 15-20 recipes ever repeated (and considering that we ordered almost all of them again, it’s likely because they were quite popular). Here’s our Hello Fresh review of the most recent plans available. This is the most popular plan from Hello Fresh, and it’s the one we currently subscribe to. There are always 1-2 vegetarian options included to choose from, and wide variety of different meats cycled through (not four different types of chicken each week). People who are more experienced than myself will likely be able to prepare the majority of these meals in 30 minutes. It sometimes takes me 40 minutes or so. The Pronto Plan starts at $12.50. 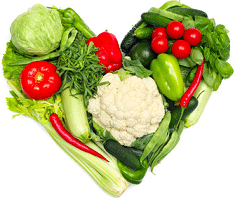 Eating more vegetarian is all the rage these days – and for good reason! It’s not only healthier (when done correctly) it’s also easier on the environment. The Hello Fresh website says that, “Our Veggie Plan involves an abundance of seasonal produce, hearty grains, and vegetarian friendly proteins. 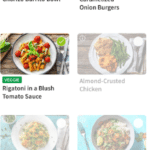 It’s specially designed with our vegetarian friends in mind, although we have a feeling even the most loyal meat-lovers will fall in love with the wide variety of creative and flavorful recipes.” The per-serving cost of the Hello Fresh Veggie Plan is $12.33. The best value-per-serving plan that Hello Fresh offers at $10.31 per serving (per-person-per-meal). After sending millions of meal kit boxes out around the world, Hello Fresh claims that they have perfected the art of easy-to-prepare meals that kids will enjoy. Recipes are created with the family in mind, as spice levels are easy to control. I don’t have children, so can’t personally vouch for this. While families will no doubt notice the price increase on their grocery bill, I think the massive luxury of having all of your dinner preparation needs taken care of would be exponentially greater with a family to think of. Plus, the healthy side takes on a new dimension if you use your meal kit to replace even 1-2 fast food nights per month! Hellofresh started eight years ago in Germany and started their Canadian operations in 2016. Since that time, they have quickly expanded to become the biggest meal kit service company in Canada. Ian Brooks, Canadian CEO, stated that Hellofresh can deliver fresh food to dinner tables nearly a week faster than top-end supermarkets. Virtually guaranteeing that you are getting the freshest food available to consumers, no matter where you live. Hellofresh has considerable experience in food logistics after running meal kit services on several continents around the world and by cutting out the middleman when it comes to getting food from the field to your plate ASAP! Additionally, Hellofresh has taken the lead on trying to minimize the environmental impact when it comes to meal kits. 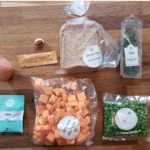 The truth is that one of the drawbacks to meal kits is that their individual packaging makes for a lot of waste relative to buying produce in the traditional manner. That said, Hellofresh has done an excellent job making nearly every piece of packaging recyclable, and has pioneered a freezer bag recycling program where they pick up last week’s freezer bags instead of simply having you throw them out. Our box shipped overnight from Winnipeg and arrived at our door the next day. You can see right away that the engineering is super solid and built to get your food to your door in one chilled unit. I should point out here that while I’m definitely not a great cook, I’m an even less experienced photographer! 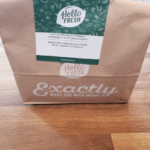 All pictures were just taken on my phone and are simply meant to give some authenticity to my Hello Fresh review – they’re not meant to win Instagram contests! That said, here is what you expect when you open your delicious box each week. Here’s a close up of what was in a bag and the information located on both the bag label, as well as the front of the recipe card. Once again, I think it’s worth noting that all of this packaging is recyclable (and that it cuts down on food waste). If you have any picture requests or photography tips, please contact me and let me know! 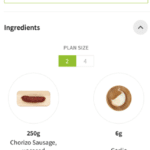 After all my bragging above, I thought I’d quickly show you what you will be looking at when you check out the Hello Fresh App. As you can see, selecting your meals for the week is two-click-easy! You can also quickly check out any of your old recipes (which are automatically catalogued) check/change the status of future weeks, etc. Top 10 Reasons Why You Should Try Hello Fresh Today! 2) The insane value to your life of not thinking about supper until it’s time to cook it – and know that it will be awesome! 4) Guaranteed fresh top shelf produce. I’ve been especially impressed with the quality cuts of meat we’ve received. 6) Less wasted food, means less guilt and less money wasted. 7) Easily say “yes” to new foods that you likely wouldn’t tried before if you had to go through the process of looking up recipes, etc. 8) You’ll spend way less eating out. Tasty options ready within 30-45 minutes means not only will you not spend money on food at restaurants, but that glass of wine with dinner is MUCH cheaper at home than at your typical dining establishment. 9) Frees up time for the finer things in life. Want more time to work out? Learn another language? Or maybe just spend more time with your loved ones? Cut precious minutes from your supper hour routine! 10) Picking great-looking meals on your easy-to-use app becomes an instant highlight of the week, and lets you anticipate next week’s delicious box of goodness. Forever. Not literally, but your food can sit in your doorstep in the hottest sun the Canadian prairies have to offer (+30 degrees Celsius) and still be very chilled when you bring it in. I tested this with my first package because I was worried about the obvious negative consequences. That specific time, the freezer bags were roughly 30% thawed. Almost every other time (even in summer) when I opened my Hello Fresh box, the freezer bags/meat part of the kit was still 100% frozen! I have read online on a couple other Hello Fresh review pieces, about the odd time where food was not at its ideal ripeness when opened. I personally have not scene that at all. Even “fussy goods” like avocados has been excellent for us. The cuts of meat especially have been of the highest quality. The only fly in the ointment that I can personally report after nearly a year with Hello Fresh is that one time when it was -42 degrees Celsius, our parsley leaves got semi-frozen and didn’t look particularly appetizing when we opened one kit. All-in-all, that’s not a bad worst case scenario from where I’m coming from. The world isn’t meant to operate in -42! The bottom line is that Hello Fresh is a massive company that delivers food boxes all around the world – in all climates. They’re pros at this stuff. No! All prices include delivery charge. At this time Hello Fresh does not have specialized options in these areas. The closest you’ll find is the vegetarian option. They do say that they are working on adding these options to their lineup. Yes. 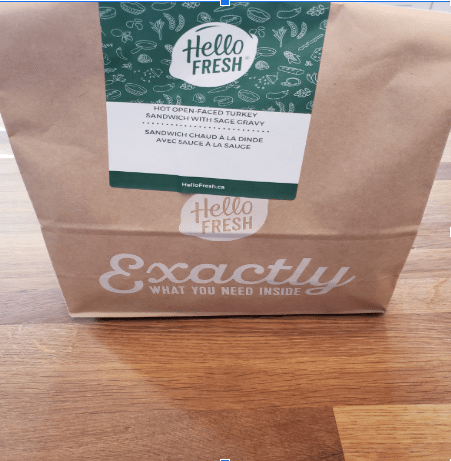 Like most subscription services, Hello Fresh really wants your business. They know the best way to get your business is to have you enter in your info on Day 1, and if you like it, you’ll be less likely to take your info out, than to put it in after the fact. At the end of the day, if you’re complaining about free food, I’m not sure we’re ever going to understand one another! 5) Do I have to be home to get my Hello Fresh delivery? What if I’m not home – am I out of luck? Like any other type of courier delivery, there are always options. Obviously it’s easiest if someone is at home to accept the box during the day; however, Hello Fresh can also drop the box off wherever you specify in your delivery instructions. Hello Fresh also recommends asking a helpful neighbour or local business to receive the box on your behalf. Personally, I’ve recommended to lots of people to simply get your week’s meals delivered at work. I’ve never detected a strong sent from the box, and I know for a fact that the ice pack + engineered box combo will hold up all day in +30 Degree heat. (I tried it the first week just because I’m overly cautious with food.) Consequently, just snagging the box at work and carrying it home with you can save you a lot of time. 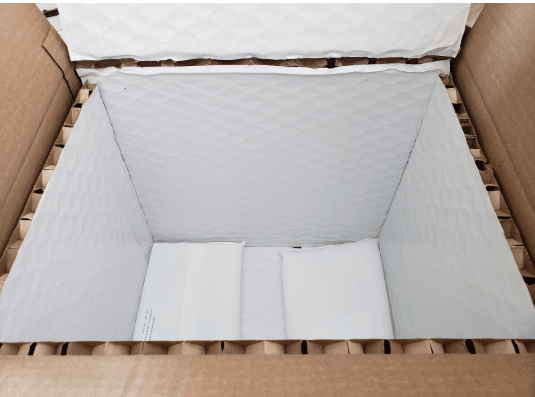 Finally, most apartment buildings now have some sort of couriered package delivery system in place, and arrangement can almost always be made. 6) Where is Hello Fresh food sourced and are your ingredients organic? I have to admit that this isn’t my area of passion. As a dude that lives in a pretty harsh environment, I’m pretty lenient when it comes to criticizing how my avocados got to me! “The focus of HelloFresh is on helping our customers make those first steps towards cooking well-balanced meals at home. While we source organic whenever possible, what we do concentrate on is what produce looks and tastes best. We also use many of the “Clean 15” ingredients in our boxes. Hello Fresh is, hands down, our favorite meal kit delivery service in Canada. Users have a lot of choice in terms of meal planning, ingredient are consistently of the highest quality, it’s well packaged, and honestly – tasty, in spite of being healthy! Plus, they get top marks for their commitment to recyclable packaging and cooler pack retrieval program. There are small things to fix, but overall, Hello Fresh delivers an excellent culinary experience to your doorstep!